By Default, Yahoo! Store does not allow for multiple levels of pricing for wholesale or membership discount programs. With WholeSale Hub, those doors are now open. By default, the only way to offer Wholesale Ordering in a Yahoo! Store is to lock the site with a password for your chosen few buyers. This is fine if you don't want the world to know what you sell, but many manufacturers want to offer their end users the ability to view their products, etc. The only thing they want to lock out is the ability to view wholesale pricing and, of course, the ability to purchase at wholesale prices. Colorado Web Solutions has developed a new module called Wholesale Hub and it will change the way that Yahoo! Stores handle wholesale pricing. With this new module, wholesalers will have the ability to lock down only the elements that they don't want available to the general public. Their wholesale customers will have unique usernames and passwords that will allow them access to the restricted content and functionality that the public won't be able to see. Wholesale hub is available in three different versions: Lite, Standard and Premier. All three versions have the same core technology and as you move up in the packages more and more features are introduced. If you would like to receive more information about our WholeSale Hub Program, please CONTACT US and we would be happy to assist you. Pricing on the WholeSale Hub starts at $799.99 and goes up to $1999.99. Please contact us for details on the program. If you have the need for more than two levels of pricing (regular and sale) for your Yahoo! Store, WholeSale Hub by Colorado Web Solutions may be your answer. Log-In based pricing and options allow for much greater control over your Yahoo! Store's pricing structure. 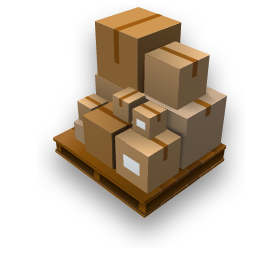 The Advanced Shipping Manager will transform how shipping is calculated on your Yahoo! Store. Real Time USPS, FedEx and UPS Rates, Legacy Store Integration available, Drop Shipping Solutions and much more.